[136 Pages] The vehicle intercom system market was valued at USD 804.3 million in 2017 and is projected to reach USD 1,180.5 million by 2023, at a CAGR of 6.89 % during the forecast period. The objectives of this study are to analyze the vehicle intercom system market, along with the provision of its statistics. It also aims to define, describe, and forecast the vehicle intercom system market on the basis of the application, component, type, technology and region. 2017 has been considered the base year for this study, whereas 2018 to 2023 is considered as the forecast period. Note: Others include sales managers, marketing managers, and product managers from the vehicle intercom system industry. Tier 1: Company revenue greater than USD 1 billion, Tier 2: Company revenue between USD 100 million and USD 1 billion, and Tier 3: Company revenue lesser than USD 100 million. Cobham Plc. (UK), Harris Corporation (US), David Clark (US), Elbit Systems (Israel), Thales group (France), EID (Portugal), Sytech Corporation (US), Teldat (Poland), Communications-Applied Technology (US), Wolf Elec (UK), Aselsan A.S. (Turkey), Vitavox (UK), Gentex Corporation (US), Leonardo DRS (US), and MER Group (Israel) are some of the players operating in the vehicle intercom system market. Country level data for Rest of the world for vehicle Intercom System Market could be provided. 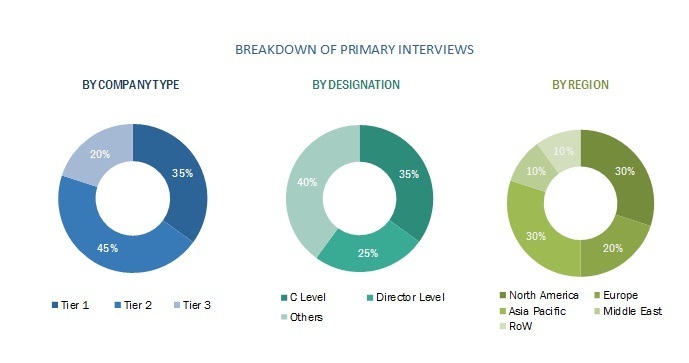 The vehicle intercom system market is projected to grow from an estimated USD 845.9 million in 2018 to USD 1,180.5 million by 2023, at a CAGR of 6.89% from 2018 to 2023. Factors such as the increasing complexity of military operations and the need for smooth communication in emergency vehicles are expected to drive the growth of the market. The vehicle intercom system market is segmented based on component, application, technology, type, and region. Based on application, the vehicle intercom system market has been segmented into military vehicles, commercial vehicles, airport ground support vehicles, and emergency vehicles. The military vehicles segment is estimated to lead the vehicle intercom system market in 2018. Military modernization programs around the world and increasing research and development activities carried out by companies and governments to increase the efficiency and functioning of military vehicles are some of the factors expected to drive this segment. Based on component, the vehicle intercom system market has been segmented into central unit, crew control unit, radio interface unit, intercom user unit, wireless intercom unit, headset dismounted interface, loudspeaker unit, adapter, wire/cable, and tactical Ethernet switch. The central unit segment is expected to lead the vehicle intercom system market. Several companies are working to upgrade the central unit of vehicle intercom systems technologically, as the unit plays an important role in the customization of the complete functionality of the intercom system. Based on technology, the vehicle intercom system market is segmented into digital and analog. The digital segment is expected to lead the vehicle intercom system market during the forecast period. The demand for digital vehicle intercom systems is increasing across the globe due to effective and clear communication enabled by these systems. Based on type, the vehicle intercom system market is segmented into wired and wireless. The wireless segment is expected to grow at the highest CAGR during the forecast period. Wireless networks allow crew members to move with ease without being tethered to a fixed position. This, in turn, increases the demand for wireless networks. 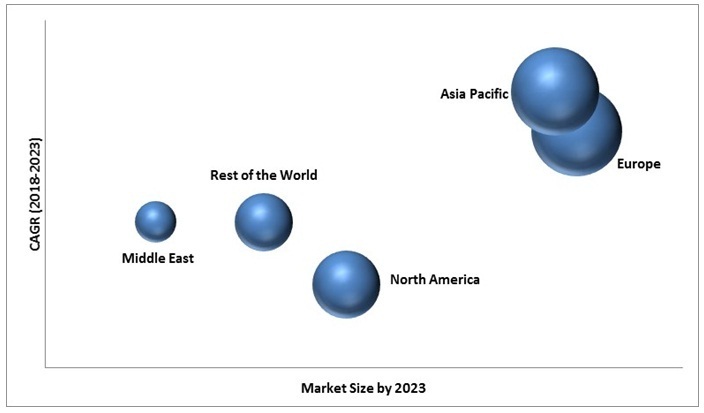 Based on region, the vehicle intercom system market is segmented into North America, Europe, Asia Pacific, the Middle East, and Rest of the World (RoW). The European region is expected to lead the vehicle intercom system market in 2018 and is projected to lead the vehicle intercom system market during the forecast period. Military upgrades by Russia, the UK, France and Germany and the high usage of intercoms in commercial and emergency vehicles in these countries are expected to drive the vehicle intercom market in this region. Products offered by various companies operating in the vehicle intercom system market have been listed in the report. The recent developments section of the report provides information on the strategies adopted by various companies between November 2013 and October 2018 to strengthen their positions in the vehicle intercom system market. Major players in the vehicle intercom system market include Cobham Plc. (UK),Harris Corporation (US), David Clark (US), Elbit Systems (Israel), Thales Group (France), EID (Portugal), Sytech Corporation (US), Teldat (Poland), Communications-Applied Technology (US), Wolf Elec (UK), Aselsan A.S. (Turkey), Vitavox (UK), Gentex Corporation (US), Leonardo DRS (US), and MER Group (Israel). These companies have the significant geographic reach and distribution channels.